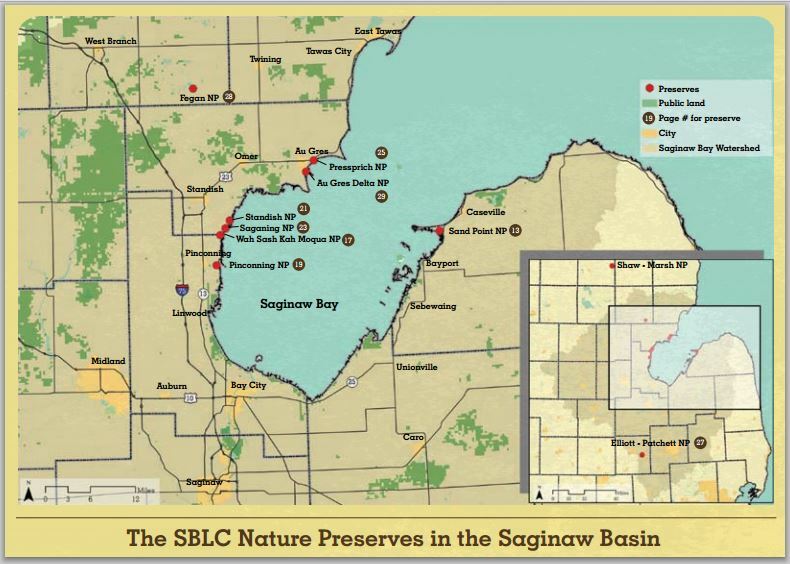 1 – The Saginaw Basin Land Conservancy is establishing its first urban nature preserve in Bay City. The preserve will be at the Bay County-owned Euclid Linear Park on Euclid Avenue, which is located in a commercial and residential area of the city. The conservancy recently signed a lease with the county on the park, which totals about 12 acres. County officials say improvements to the park will begin in the spring as part of that agreement. The upgrades will be aimed at focusing the park’s program on nature experiences and habitat conservation. Native grasses, wildflowers, and shrubs will be planted and an existing boardwalk will be upgraded. The park and a lagoon on site are home to wood ducks, great egrets, herons, turtles, northern leopard frogs and other waterfowl and wetland wildlife. The conservancy owns and oversees a number of other nature preserves throughout the watershed. 2 – The first phase of a 140-mile Thump Loop high-voltage transmission line is in service. Phase 1 consists of 62 miles of lines from a new substation in Tuscola County to a new substation in Huron County. The project was completed by ITCTransmission, an electricity transmission company based in Novi. The company says the project will strengthen the transmission grid in the Thumb and serve as a backbone for the interconnection of new generation sources, such as wind turbines. Construction of the lines had an estimated $366 million impact to the Michigan economy. ITC says work is proceeding on schedule for the remaining segments of the Thumb Loop, in St. Clair County and Sanilac County. The full project is to be complete and in service in 2015. The upgrades are designed to meet the “identified maximum wind energy potential of the Thumb region” and will be capable of supporting a maximum capacity of about 5,000 megawatts, according to ITC.